Cover your baby up with a warm and comfy baby blanket. Soft and gentle, it will protect your baby’s healthy sleep and help him or her gather strength to grow safe and sound. The happier and the more satisfied the baby, the calmer and more peaceful the parents. With one of our baby blankets, the parents will be able to wrap their babies and offer them quality sleep. Babies need to sleep as much as they can while they’re growing, and our blankets are perfect for that purpose. Baby blankets are essential for the baby’s health and peace of mind. 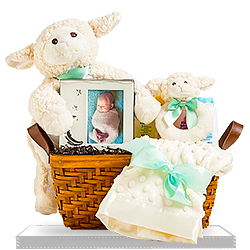 They bring comfort and create ideal conditions for a baby to grow and delight his or her parents’ heart with joy and happiness for their beautiful baby. Their home will always be filled with smiles and sunshine when the baby is happy.